It was pointed out to me that I seem to write about the topic of marriage quite often. I’ll take that as a compliment. The truth is that it happens to be one of my favored topics; but, seeing that we’re holding now in Seider Nashim already for about seven months, it really shouldn’t be so surprising that this topic comes up a lot. In any event, there are certain facets to marriage that are important, but perhaps not absolutely critical. The marriage may suffer without them, but it can survive. On the other hand, there are certain components that are simply vital. You just cannot do without them. And what comes up in today’s daf is one of those. 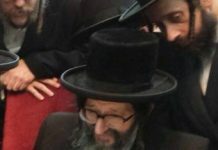 Rabi Eliezer and the Chachamim are in disagreement as to whether or not a man can demand a shvuah from his wife that she did not withhold any of his belongings when it comes to food that she prepares and clothing that she makes. The Gemara has a question if Rabi Eliezer, who holds that the husband can impose such a shvuah, means only as an adjunct to a shvuah that she is already taking regarding business matters that she oversees for him, or even just on those small matters in of themselves. The eventual maskana of the Gemara is that Rabi Eliezer allows the husband to impose a shvuah regarding things like food and clothing in the home even as a stand-alone shvuah. The Rosh and the Ran point out that it therefore stands to reason that the Chachamim agree that the husband can do so as adjunct-shvuah. What that means, though, I think, is that a woman will generally not feel pressured to the point of bust when the shvuah regarding matters such as food and clothing in the home is only brought into the picture parenthetically to business matters. But the essential, psychological dynamic is still true. In this context, it is crucial to realize that the barometer of what is considered “so much” is going to be subjective to time and place. Rav Eliyahu Goldschmidt, in his amazing book Dear Son, recounts a case in which a husband revoked his wife’s checkbook in reaction to what he viewed as her wasteful spending habits. Rav Goldschmidt does not mince words with how he felt about what that man did. He says that to do such a thing is to effectively crush her. Like an angry brute stomping on a beautiful, delicate flower. That’s Rav Goldschmidt’s analogy; not mine. Now, any of us who have been doing even a cursory following of the daf these past few months are surely aware that there does not seem to be any obligation on a husband to provide his wife with an open checkbook. But that is the whole point. As a senior Dayan once put it, “You cannot be stupid when you learn dinei mamanos. One of the first rules is that monetary law follows the accepted norms of the day to a tremendous extent.” And, of course, so will the psychological and emotional implications thereof follow suit. What emerges from all this, then, is this: critical to the ability for a marriage to survive is that a woman not be made to feel that she is being micromanaged by her husband. Otherwise, the resultant backlash can be, “If you are being so overbearingly scrutinizing with me, I cannot live with you.” A person cannot live together with a snake in a basket. And if he does stay in that basket, the results can be simply disastrous. A wife needs to feel that her husband loves and trusts her. This is so basic to the marital unit. Love and trust cannot be abstract concepts that are only given lip service. It needs to be expressed concretely. In how you trust her with your money – in accordance with the norms of our times – and in how you trust her in general. A husband who does things like checking his wife’s receipts, always insisting that he know where she goes, who her friends are, and so on, is setting himself up for disaster. Irrespective of whether it is an explosion or implosion, or if it is sudden or gradual, it is a disaster nonetheless. She is his wife. He needs to love her, trust her, and rely on her. With that, his marriage will thrive and grow. 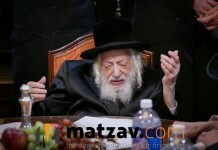 Rabbi Yehoshua Berman serves as the Rosh Kollel of Kollel Reshet HaDaf in Ramat Beit Shemesh, Israel. 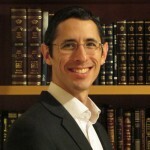 In addition to having authored Reflections on the Parsha, Rabbi Berman regularly delivers shiurim on Halacha and Hashkafa, writes comprehensive chazara questions (in Hebrew) for the advanced Daf Yomi learner, and weekly words of inspiration from the Parsha. Rabbi Berman can be contacted at rbsa613@gmail.com.